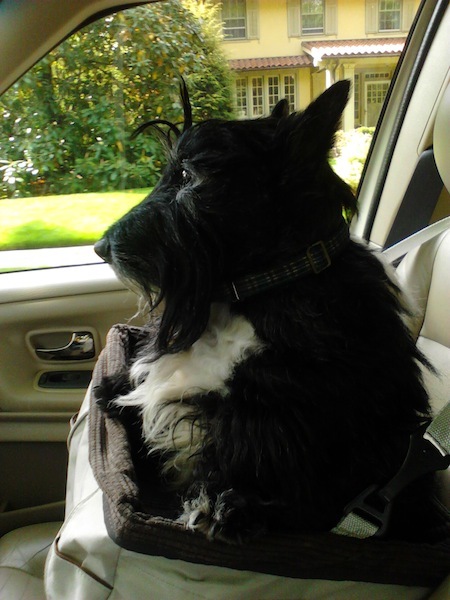 Image | This entry was posted in The Scottie Chronicles and tagged dogs, pets, Scotties, traveling with a dog. Bookmark the permalink. Eyes on the road! Good boy! Stuart, is there a brake pedal in your bucket seat, too? Have a nice ride! You look very regal. You look so royal Stuart! Hope you are going someplace fun! What? You’re not driving? The this trip isn’t safe. Have a fun Sunday, wherever you’re going, Stuart! Where you off to Stu?? Arfsome ride, Stu! Way to go-o-o-o..arooooo!